This is a thread solely to archive the Lupin Collections that are either obtained from or in the possession of the ganglers during the show. Stuff such as the VS changer and vehicles, Good Striker, etc. I will leave out. All the info minus the references are based on the information provided by TV Asahi's Lupinranger VS Patranger official website. description: A dice that allows you to rig the chance to win in any game. basis item: Item is based off the transformation item of the main 5 Zyuohgers, the Zyuoh Changer from Doubutsu Sentai Zyuohger. description: A lighter with an endless supply of fuel. basis item: Item is based off Shinken Red's personal origami(robot) Shishi Origami from Samurai Sentai Shinkenger. description: An injector used by Goche Ru Medou to enlarge a gangler. basis item: Item is based off the Tail Injector, Go Pink's personal weapon and part of the Life Bird weapon set from Kyukyu Sentai GogoV. description: A figure that allows the user to create a statue of their liking. basis item: Item is based off Ganmajin, the sentient robot from Choriki Sentai Ohranger. description: A ribbon that decorates anything to make it look charming like a shining jewel. basis item: Item is based off Pink Ribbon, Goggle Pink's personal weapon from Dai Sentai Goggle V.
description: A boot that grants zero-gravity status like that of a nova allowing the user to perform a super jump. basis item: Item is based off Prism Boots, Pink Flash's personal weapon from Choushinsei Flashman. description: A magical lamp that can preform spacial expansion. basis item: Item is based off Magilamp Buster, Magi Shine's personal weapon from Mahou Sentai Magiranger. description: A pair of binoculars currently carried by Goche Ru Medou. Its abilities are still a mystery. basis item: Item is based off of the Sougan Blade, one of the basic arsenal of the Go-Busters from Tokumei Sentai Go-Busters. description: A hero's powerful battery cell that has enough electricity to take down a dragon. basis item: Item is based off of the Zyudenchis, one of the main arsenals of the Kyoryugers in Zyuden Sentai Kyoryuger. description: A tire that can tumble anyone at mach speed. basis item: Item is based off of the Go-roader GT, a robot used by the Go-ongers in Engine Sentai Go-onger. description: A magical bracelet that allows the user to run at speeds high enough to exceed time. basis item: Item is based off of the Chrono Changer, the transformation device of the 5 main Timerangers in Mirai Sentai Timeranger. description: A scroll that allows the user to use a secretive invisible barrier ninpo. basis item: Item is based off of the Shinobi Scroll, a scroll that is used to summon a Choninju, mechanical animals that form Kakure Daishogun in Ninja Sentai Kakuranger. description: An accessory that can freely change the scale of one's body size. basis item: Item is based off specifically of the Akaninger shuriken, Akaninger's personal Nin Shuriken used to transform in Shuriken Sentai Ninninger. description: A sling that can "mega"-extend its range by 10 folds. basis item: Item is based off the Mega Sling, Mega Yellow's personal weapon in Denji Sentai Megaranger. description: A ball that can create an explosive fireball like the sun. basis item: Item is based off the Vulcan Ball, a weapon used to perform a finishing attack in Taiyo Sentai Sunvulcan. description: A sword that allows a part of one's body to stretch with a beam of light. basis item: Item is based off the Masky Blade, Red Mask's personal weapon in Hikari Sentai Maskman. description: An automatic sighting device that increases the accuracy of an attack. basis item: Item is based off the Car Navic, a scanner that can change into a gun and also attach to the Autoblaster, the main sidearm of the Carrangers in Gekisou Sentai Carranger. description: An iron fan that can create razor sharp wind blades from an extreme gust of wind. basis item: Item is based off the Geki Fan, Geki Blue's personal weapon in Jyuken Sentai Gekiranger. description: A power bracelet that uses particle state life energies to double offensive power. basis item: Item is based off the Techno Brace, the transformation bracelet used by a Bioman in Choudenshi Bioman. description: A censer that can create a cloud that can be used as a method of transportation with qi energy. basis item: Item is based off the Seishishi, Shishiranger's lion-shaped kidenjyu in Gosei Sentai Dairanger. description: A steel dumbbell that can grant the user great defense abilities by hardening the body. basis item: Item is based off the Twin Array, Five Blue's personal dumbbell weapon in Chikyu Sentai Fiveman. description: A water gun that gathers moisture from the air and stores it inside the gun to shoot it. basis item: Item is based off the Gosei Blaster, the main sidearm of the Goseigers, specifically Gosei Blue's blaster(the tip of the barrel is the Shark Header), in Tensou Sentai Goseiger. description: A microwave ring that vibrates molecules to generate heat of high temperature. basis item: Item is based off the Denzi Ring, the transformation ring used by a Denziman in Denshi Sentai Denziman. Note that this collection in particular does not take from the actual Denzi ring from Denziman aside from the logo. description: A guiding rod that increases the evasion rate by changing the trajectory of an attack. basis item: Item is based off the Yudo Breaker, ToQ6's personal weapon in Ressha Sentai ToQger. description: A life tank that can completely cure even the most severe damage. basis item: Item is based off one of the two Twin Braces, the pair of transformation bracelets used by the Livemen in Chojyu Sentai Liveman. description: A twilight mermaid statue that can erase oneself with the shimmer of shoreside bubbles. basis item: Item is based off of Change Mermaid's helmet from Dengeki Sentai Changeman. description: A recorder that can control even a stubborn ruffian through sounds from the souls of words or "kotodama". basis item: Item is based off of the Zyusouken, Dragon Ranger's personal weapon and controller of Dragon Caesar in Kyoryu Sentai Zyuranger. description: A soil cutter of fury that allows one to plunge into the ground or a wall. basis item: Item is based off of the Shark Cutters, Gao Blue's personal pair of weapons in Hyakujuu Sentai Gaoranger. description: A camera that shuts down a target by locking up said target's memory inside a photo. basis item: Item is based off of the Ichigan Buster, the main sidearm of the Go-Busters in Tokumei Sentai Go-Busters. description: A bouquet-type deoderant that can nullify even the most explosive odors. basis item: Item is based off of the Rose Saber, Dyna Pink's personal weapon from Kagaku Sentai Dynaman. description: A judgement plate that can swap a heart of good and a heart of evil. basis item: Item is based off of the SP License, the transformation notebook used by a Dekaranger in Tokusou Sentai Dekaranger. description: A fossil-type collection. Its abilities are unknown. basis item: Item is based off of the Dino Brace(specifically Abared's), the transformation bracelet used by a Abaranger in Bakuryu Sentai Abaranger. description: A device that can weaken the tremendous power of a Lupin Collection. basis item: Item is based off of the Mobirates, the transformation mobile phone used by a Gokaiger in Kaizoku Sentai Gokaiger. description: A sword device that allows shockwaves to shoot out from a sharp claw. basis item: Item is based off of the Shodo Phone, the transformation mobile phone used by a Shinkenger in Samurai Sentai Shinkenger. description: A kick device that boosts the leg power to push on straight forward. basis item: Item is based off of the Go-Phone, the transformation mobile phone used by a Go-onger in Engine Sentai Go-onger. description: A barrier device that can protect an adventurer from all obstacles. basis item: Item is based off of the Accellular, the transformation mobile phone used by a Boukenger in Gogo Sentai Boukenger. description: A fire device that allows one to hone a seriously hot flame. basis item: Item is based off of the Magi Phone, the transformation mobile phone used by a Magiranger in Mahou Sentai Magiranger. description: A turbo fan that can create whirlwinds by rotating at high speeds. basis item: Item is based off of the Turbo Brace, specifically the turbo fan of the left bracelet, used by a Turboranger in Kousoku Sentai Turboranger. description: A face sculpture that can synthesize soil to create walls. basis item: Item is based off of the Tensouder, a transformation card reader used by a Goseiger in Tensou Sentai Goseiger. description: An inro case that can divide a person's good and bad side. basis item: Item is based off of the Doron Changer, a transformation inro used by a Kakuranger in Ninja Sentai Kakuranger. description: An electronic calculator that can make the brain smarter by installing any type of data. basis item: Item is based off of the Digitizer, a transformation bracelet used by a Megaranger in Denji Sentai Megaranger. description: A lethal sword shaped like a hand in a chopping form that can slice or connect spaces. basis item: Item is based off of the Saiblade, the personal transformation device/weapon of Geki Chopper from Jyuken Sentai Gekiranger. description: A steering wheel that can remotely control even the most raging vehicles. basis item: Item is based off of the Bouken Driver, the suitcase-type control module that Boukengers use to control their Gogo Vehicles from Gogo Sentai Boukenger. description: A brooch that can levitate anything. basis item: Item is not based off the flight formation performed by the Chojin Sentai Jetman team during the end part of the opening theme clip. description: A spearhead that can block the view with a thick mist. basis item: Item is based off the Kai-oh spear, the weapon of Cube Whale's humanoid form Dodekaioh in Doubutsu Sentai Zyuohger. description: A resilient bomb that can turn the body elastic to repel the initial attack of an enemy. basis item: Item is based off the Super Five Ball, a bomb used by Chikyu Sentai Fiveman. description: A controlling baton that can even freely take control of rampant bodies. basis item: Item is based off of the Wing Pentact, Abare Killer's personal conducting baton weapon in Bakuryu Sentai Abaranger. description: A voice-changing microphone that can change any voice. basis item: Item is based off of the Shuriken Zubat, Shurikenger's personal ninjato/baseball bat weapon in Ninpu Sentai Hurricanger. description: A wolf's head that can smell anything with its acute sense of smell. basis item: Item is based off of the G-Brace Phone, Gao Silver's personal transformation cellular phone in Hyakujuu Sentai Gaoranger. description: A chess piece that lures people to an eternal game space where time is not everlasting. basis item: Item is based off of the pressure freeze capsule, a capsule that encased an arrested Londarz member in Mirai Sentai Timeranger. description: A big scalpel that can slice things into a hundred pieces. basis item: Item is based off of the Byakko Shinken, Kibaranger's personal sentient weapon and partner in Gosei Sentai Dairanger. description: A transcending crest that nullifies any attacks by liquifying the body of the user. basis item: Item is based off of the Chozetsu Shoubu Changer, a power-up bracelet used by the Ninningers in Shuriken Sentai Ninninger. description: A timer that allows the user to freely trigger explosions. basis item: Item's color scheme is based off of Battle Fever Robo, the giant humanoid robot piloted by Battle Fever J.
description: A collection that can create vines to bind opponents. basis item: Item is based off of the Ginga Brace, the transformation bracelet used by a Gingaman in Seijuu Sentai Gingaman. description: A collection that can summon meteors to rain down on opponents. 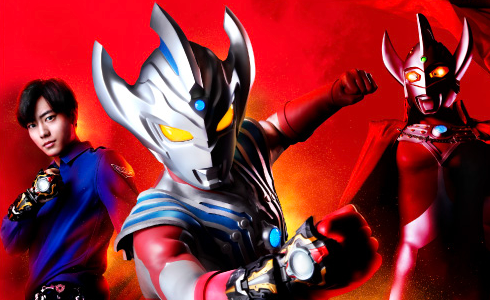 basis item: Item is based off of the Saikou Kyutama, a power-up item that allows Shishi Red to become Shishi Red Orion in Uchuu Sentai Kyuranger. Last edited by Sunred; 02-09-2019 at 09:30 PM..
You know, I thought that the references to past seasons thing was stretching it... but Qui a fait qui changed my mind completely. That's just Gunmazin. Also, every Lupin Collection item is named after an english song as well. Feels important. Comme un cube qui role - "Like a rolling cube"
Allume-moi - "Turn me on"
Gros claibur - "Get big"
Qui a fait qui - "Who made who"
I'm not entirely certain that Allume-moi and Gros calibur are specifically those songs, mostly because I'm not super into rap, but I AM into classic rock, and those ones are definitely intentional. Last edited by Bionichute; 02-24-2018 at 09:30 PM.. If so, which songs by which artists? Last edited by Sunred; 02-24-2018 at 09:30 PM..
Edited them into the last post before you posted this, whoops. I think each one is also supposed to represent a different type of felony (Illegal gambling, arson, doing drugs, and art plagiarism so far), which makes sense. They're pumping a lot of references into each of these things, I hope there's a decent amount of them. Slightly off-topic, but I'd love it if they made a replica of the book from the show with a behind-the-scenes feature that shows you which toys they reused for the collection. Ah, good find there. You know what lemme update the top post. And for the stuff you are unsure of I will mark it "potentionally" cause I think you are on to something with these references. I hope so too. Best bet is they include them in those high quality art books they release after the show ends. Last edited by Sunred; 02-25-2018 at 08:14 AM..
Lupin Collection concept is really similar to Precious from Boukenger. I really want Lupinranger vs Patranger has crossover episode with Boukenger. That could work actually. Given that Lupid had has collection safely stowed away, it would make sense that it never came up in the Boukenger's radar, but now that the collection is out, it makes sense that they now would go for them, crossing paths with the two teams. I can see them eventually working with both teams, as the Patorangers might see them as an official organization able to safely hold the collection pieces and they would see the Lupin's book as a safe way to store the pieces. Could be interesting, although I doubt it will happen. You really can't underestimate the production team for Sentai. They are putting a huge amount of work and thought into little things like this. They could have just done random generic magic items here, instead we've got a multitude of subtle little things going into the Lupin collection! It's always really impressive the thought and care that goes into things like these, or keeping some sort of theme going in the Monsters of the week and bad guys groups that isn't at the fore.